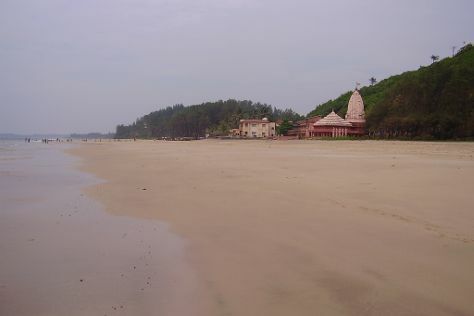 Start off your visit on the 23rd (Sun): contemplate in the serene atmosphere at Ganpatipule Temple, then tour the pleasant surroundings at Ganapatipule Beach, and then stroll through Ganapatipule Beach. Here are some ideas for day two: enjoy the sand and surf at Arey Ware Beach and then stroll through Guhagar Beach. For reviews, photos, more things to do, and other tourist information, refer to the Ganpatipule trip planner . If you are flying in from United States, the closest major airports are Chhatrapati Shivaji International Airport, Pune Airport and Dabolim Airport. Wrap up your sightseeing on the 24th (Mon) to allow time to travel back home.